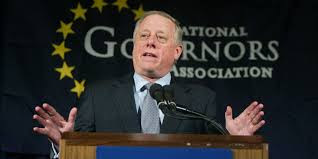 Democrat Phil Bredesen, a former two-term governor of Tennessee and former mayor of Nashville, announced this morning that he's running for the Corker Senate seat in Tennessee next year. He's a high-profile, credible candidate and seriously energizes the Democratic side. Bredesen's candidacy triggers a Democratic primary, as there's already another declared Democrat, James Mackler, who's running. Mackler is a Nashville attorney and Iraq War veteran. At 44, he's 30 years younger than Bredesen, but nobody knows him (yet). Everybody knows Bredesen. Mackler is likely to run a vigorous primary campaign. He's been raising money, and his youth and experience impressed many observers when he first announced his candidacy last April. The likely and ultimate Republican candidate for that Senate seat will be Rep. Marsha Blackburn, a super conservative who might remind you of the Stepford Wives.